I started the engine. I lined up on the runway and applied power. Halfway to takeoff speed the front of the airplane started shaking badly. I aborted the take off and went back to try again thinking the brakes were sticking. It happened again. I aborted, moved to a safe place, and called the owner. I was nervous. He said this is a defect of the front wheel that can happen from time to time. Everything would be fine and the airplane was safe to fly. After hearing those words of confidence, I went to the runway, applied power, pushed through the shaking and flew. I was weary. Had I not called the owner, I would have lacked the confidence to fly. I was reminded that my personal defects caused by sin deteriorate my confidence in God’s calling over me. When I call upon Him, He renews my strength. 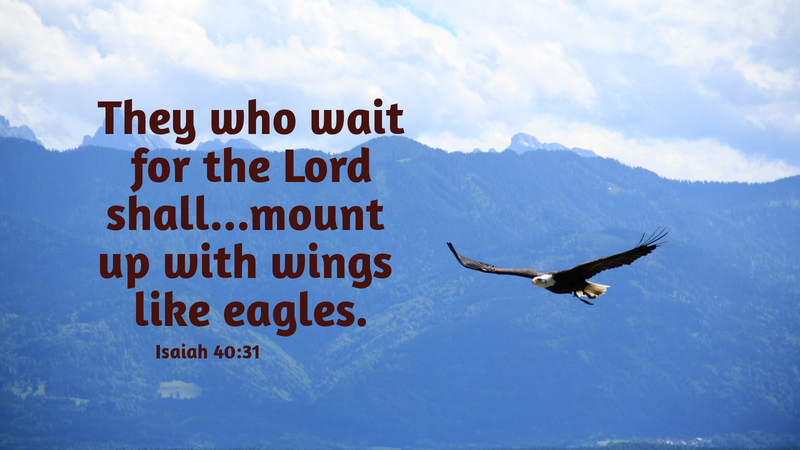 If I put my trust in God as I put my trust in the owner of that airplane, in Christ I have the ability to push through, to rise up on wings like eagles. We receive renewed strength as a gift of God on account of Jesus. What a wonderful motivation. Prayer: Holy Father, when we are feeling weary and weak, encourage us to reach out to you, that we might find renewed strength in your unfailing love for us shown through the death and resurrection of our Lord and Savior Jesus Christ. Amen. Today’s devotion as written by Mathew Magera, Pastor of St. Thomas Lutheran Church, Trufant, MI.